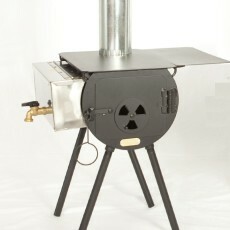 The Scout Stove is the perfect little stove for a one or two man wall tent or range tent. (All pricing includes shipping-continental US). 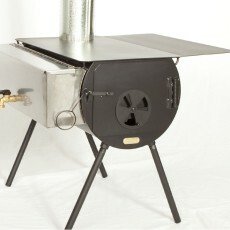 This stove is 16″L x 10 1/2″W x 9″H, 20″ Tall with Legs, Volume .7 cu. ft., 4″ Stovepipe Hole for Tents up to 10’x12′, and Holds heat for 5-6 hrs.